I've attended lots of conferences and they all are organized in a similar fashion: a keynote address to all participants, breakout sessions devoted to specific aspects of the conference theme or focus, networking opportunities, raffles of some sort and, depending on the size of the conference, exhibits by publishers and companies who sell products aimed at the conference's market. All the previous conferences I've attended were for educators involved in teaching English Language Learners and it was great to be with other people who understand what teaching ELLs is all about, since that's not always the case at the schools where we work. 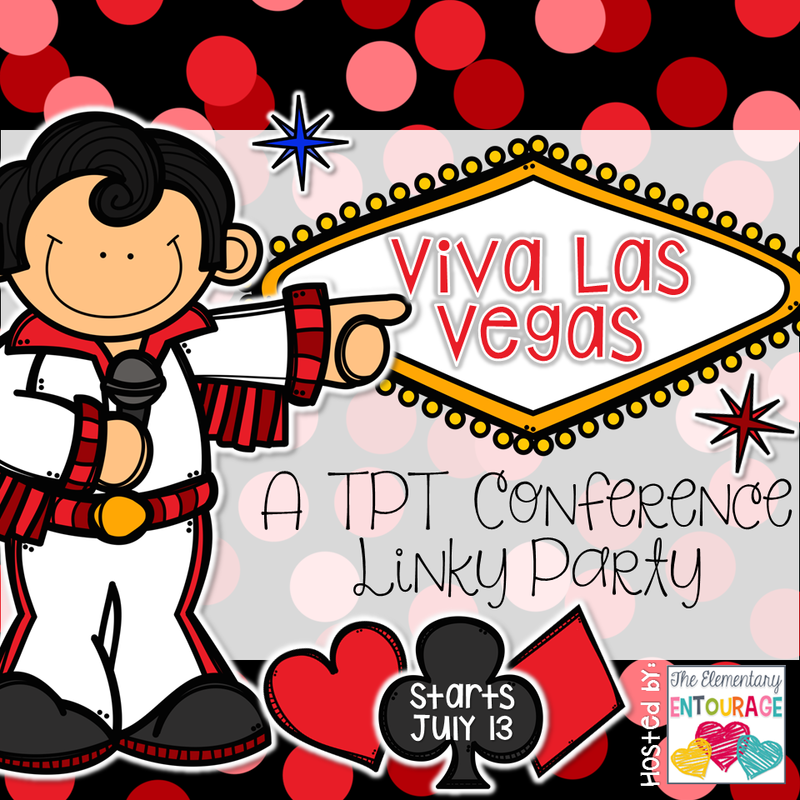 Today's blog post is part of this linky party about the 2015 TpT Conference! 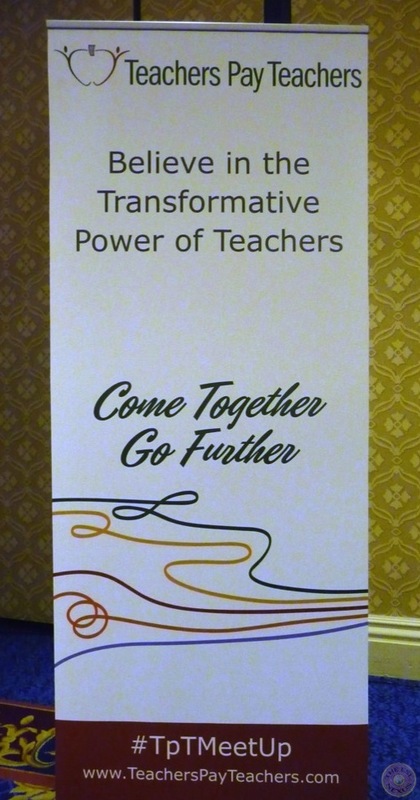 The TeachersPayTeachers conference was no different. I had never met in person any other TpT teacher-author and it was so nice to be among other people with whom I could talk about TpT. I went to all the organized networking events I could fit into my schedule so I was on the go for a good 12-13 hours each day. 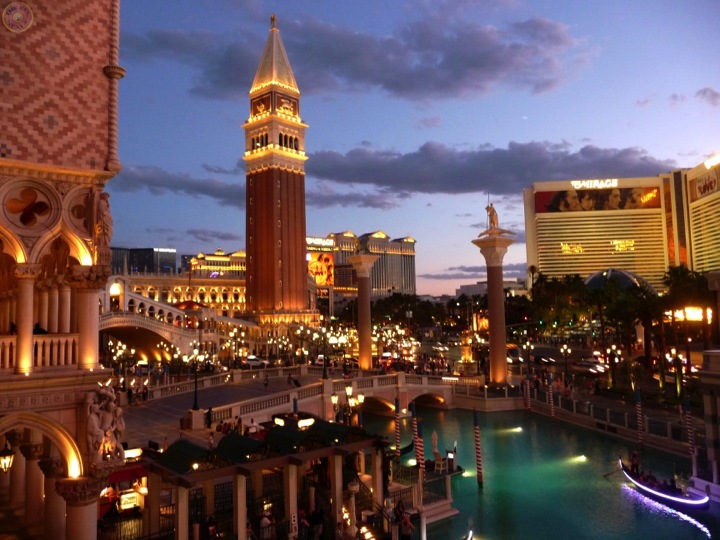 As with all conferences, I came out of it physically exhausted but mentally refreshed and reenergized, eager to apply everything I learned during my two-and-a-half days in Las Vegas. That is always how I’ve felt at the end of every conference! a) Dress comfortably! Conferences are professional events and of course you want to show yourself in a favorable light but it is definitely not necessary to dress up. While I wouldn't recommend going to the other extreme and wearing tank tops and flip flops, you can certainly be very presentable in a nice shirt and pants. And because you'll do a lot of walking--I stayed in a nearby hotel and walked back and forth, and getting from one session to another involved a fair amount of walking as well--wearing comfortable shoes is a priority. b) I had a hard time deciding what to include on my business cards. But then I saw how Hedgehog Reader designed hers. Like many people, she included QR codes on the back but here’s the twist: Her QR codes were in color! They really stood out and I decided to do the same for my cards. I was so happy to meet her in person and thank her for the great idea. c) To avoid being pushy about handing out business cards, when you are talking with people, ask them if they have cards and if so, if you can have one. Then, when they give their card to you, you can ask them if they would like your card. People always seemed pleased that I asked for their card and I thought that was a polite way to exchange them. d) If someone is sitting by themselves before a session starts or standing alone during a social event, just go up and introduce yourself. It’s a lot easier to do that when it’s only one person than a crowd! Plus, the other person may just be shy and would welcome the chance to talk to someone. While I was waiting for my final session to begin, I struck up a conversation with the man sitting behind me and it turned out he was a clipartist whose work I had used in one of my products! It was really cool to meet Prince Padania in person. e) Enter all the raffles! If you win something that you can’t use, you can always give it away to someone else who’ll be very happy to use it. 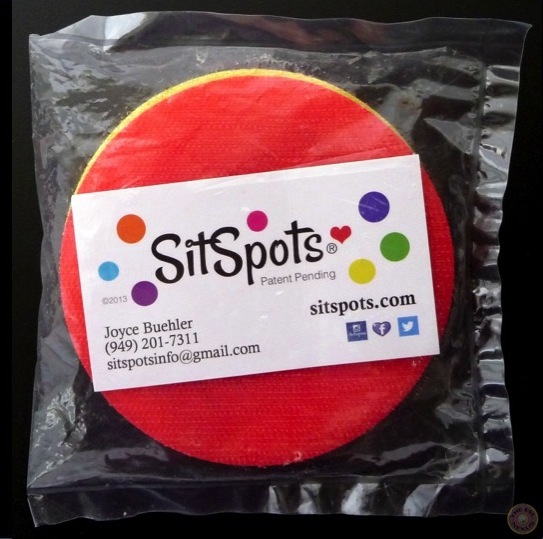 I won a prize at the Blogger Meet Up, something called SitSpots. I’d never heard of that and someone explained it was a way for kindergarten teachers to get kids to sit in one place on the floor. Well, as a mostly middle school teacher who isn’t in the classroom anymore, this wasn’t something I could use. Then I went to the SitSpots exhibitor booth and learned that there were several other ways to use the product; I’ll be writing about that in my next post. So, if you win a prize at a raffle, definitely try to visit the company’s booth if there is an exhibitors’ section at the conference. They will appreciate meeting someone who received one of their prizes and you just might find another way to use their product. Oftentimes people hesitate about attending a conference because when the registration, hotel, food, and transportation costs are added up, it can be quite expensive. But when you look at it as an investment in yourself, and consider that you will return home reinvigorated and excited to try out what you learned, as I did after attending my first--but hopefully not last!--TpT Conference, I think you will agree that the knowledge gained and friendships made are priceless. 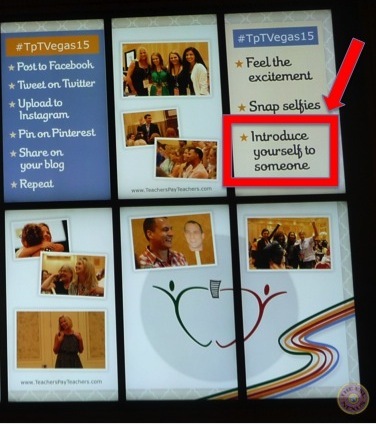 You can read more great posts about the 2015 TpT Conference in Las Vegas here! Oh Susan, it was such a delight to meet you in person! 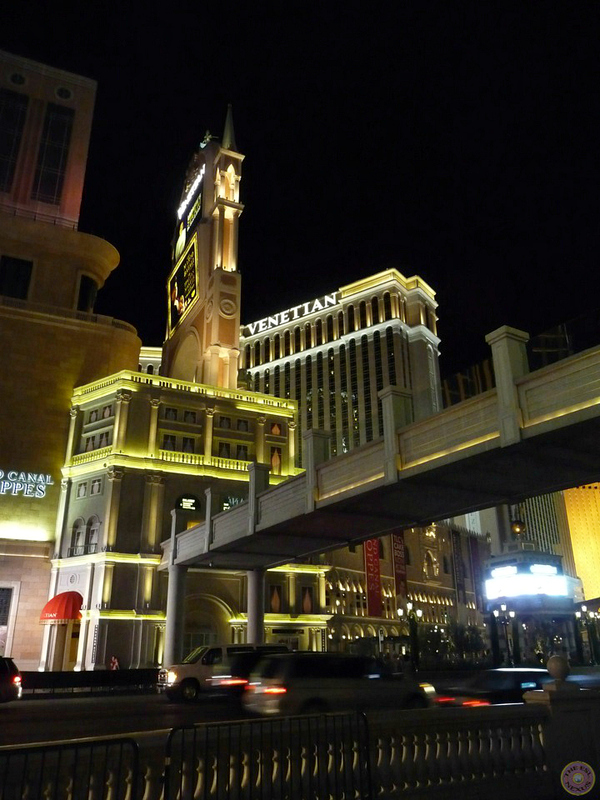 We'll have to try and meet up some time this year in Arizona BEFORE the next Vegas conference! Thank you so much, on both accounts! It would be great to meet up at some point! Great tips - I learned about the comfortable shoes the hard way : ) I definitely went comfy for day 2. Unfortunately I didn't win any of the raffles, but I still came home with lots of great goodies. Next year I need to pack an extra bag to bring everything home in! Comfy shoes make such a difference! :-) Yes, even without the raffles, there was loads of stuff to take home, and it was really nice that everyone got some swag. Thank you for commenting! Great tips! 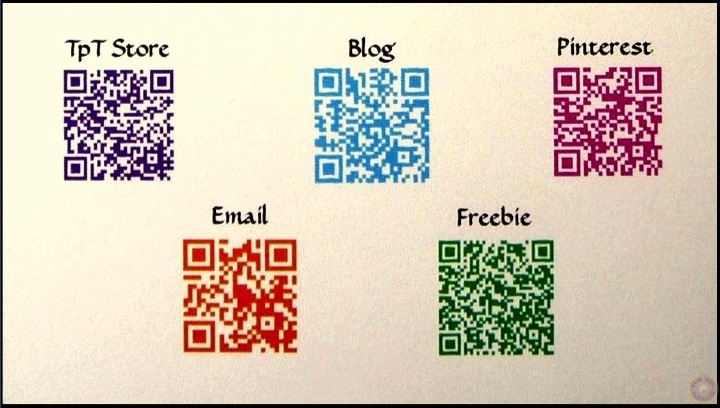 I especially love the colorful QR codes. I also love the suggestions you gave about business cards. I love my QR codes, too! :-) I'm so happy you find the tips and suggestions helpful -- Thank you! I think those sit spots are so neat! Yes, they are actually are! :-) Do you use them yourself? My blog post for today (Thursday, 7/16/15) describes four ways to use them in content classes. If you're interested, please check it out and if you have other ways to use SitSpots, I'd love to hear about it. Thanks for commenting!